Founded in Hawaii in 1851, Dole is the world's largest producer and marketer of high-quality fresh fruit and fresh vegetables. The Dole brand means the finest, high-quality products. Dole will continue to meet customers' expectations by consistently providing products that meet the highest standard - the Dole standard. Dole is focused on four pillars of sustainability in all of its operations: water management, carbon footprint, soil conservation and waste reduction. For Dole, anything less is unacceptable. 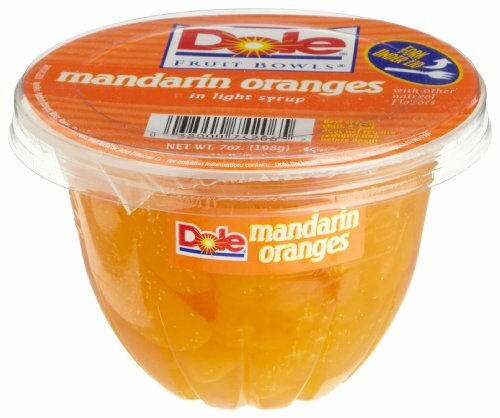 Dole Mandarin Oranges in Light Syrup are a convenient and ready to eat product. Mandarin oranges are the whole segments of Japanese Satsuma oranges and can add a refreshing sweet taste to cottage cheese or yogurt, green salads, gelatin salads, and fruit salads. Naturally fat and cholesterol free. Naturally very low in sodium and rich in Vitamin C. Store unopened Dole Mandarin Oranges in a cool dry place. If you prefer a chilled fruit snack, keep an unopened can of Dole Mandarin Oranges in your refrigerator. After opening store unused mandarin oranges in a glass or plastic container in the refrigerator.